I was sent to The Tower – but I kept my head! I’ve just returned from a couple of nights in London staying at the lovely Landmark Trust property at 13, Princelet Street. The house was built in 1719 in the Spitalfields area of east London for Huguenot silk weavers. It’s a lovely, warm, characterful house with all the comforts you could wish for on a cold winter’s evening in the east end of London when the wind and rain are blowing outside – as they were on our first evening. Fetch a takeaway curry from one of about 50 curry houses on Brick Lane, then over a cup of tea inspect the Landmark Library and plan the next day’s entertainment, review the day that’s just finished or take up the Landmark Handbook and plan another trip. 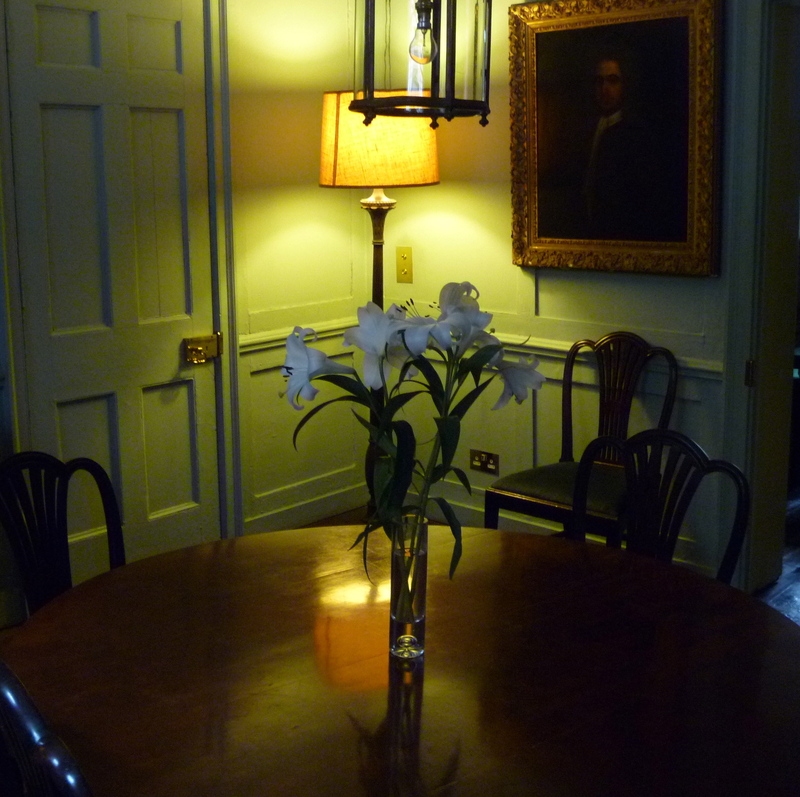 I visited the house for a Friends’ Reception last October and wrote about it here. Staying just two nights gave us only one full day in London and we decided to spend it at The Tower of London. I have visited this Historic Royal Palace on two previous occasions. The first time was at the age of 10 on the annual schools visit to London with my primary school in Norwich. 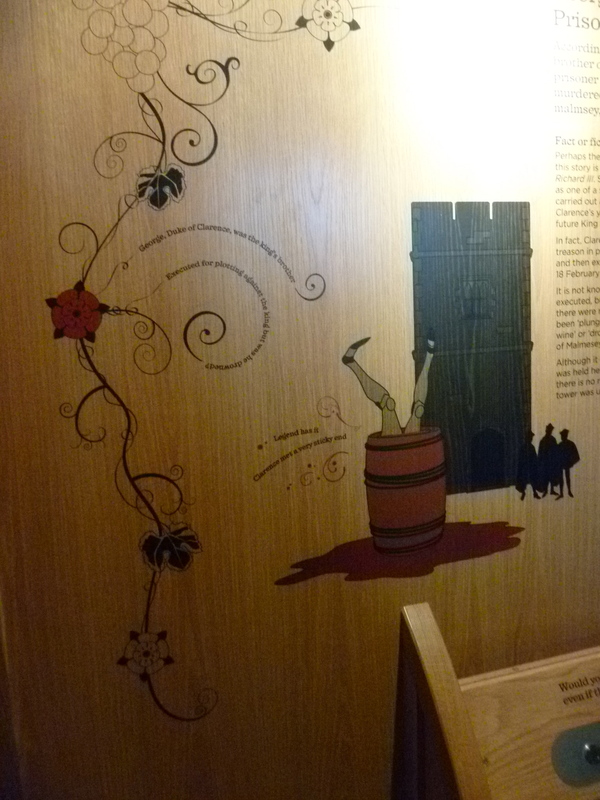 I remember clearly seeing the Crown Jewels in one of the towers, that we all giggled at the name of one of the towers The Bloody Tower, seeing the ravens hopping over the lawns, their wings clipped, seeing The Traitors’ Gate and the wooden block and axe which took the life of Queen Anne Boleyn. I had long wished to return and my next visit was with a Swiss guest in 2010. We had a lot of London sights to fit into our day so I planned to return on the next appropriate occasion to have a closer look. On Thursday with our 85 year old mother in tow we made a beeline for the Crown Jewels. These magnificent symbols of the British monarchy are displayed in such a way that everyone gets a good look at them however crowded the Tower may be. In fact, on this bright and dry early January day, although there seemed to be lots of people – of all nationalities – there were no queues at all. 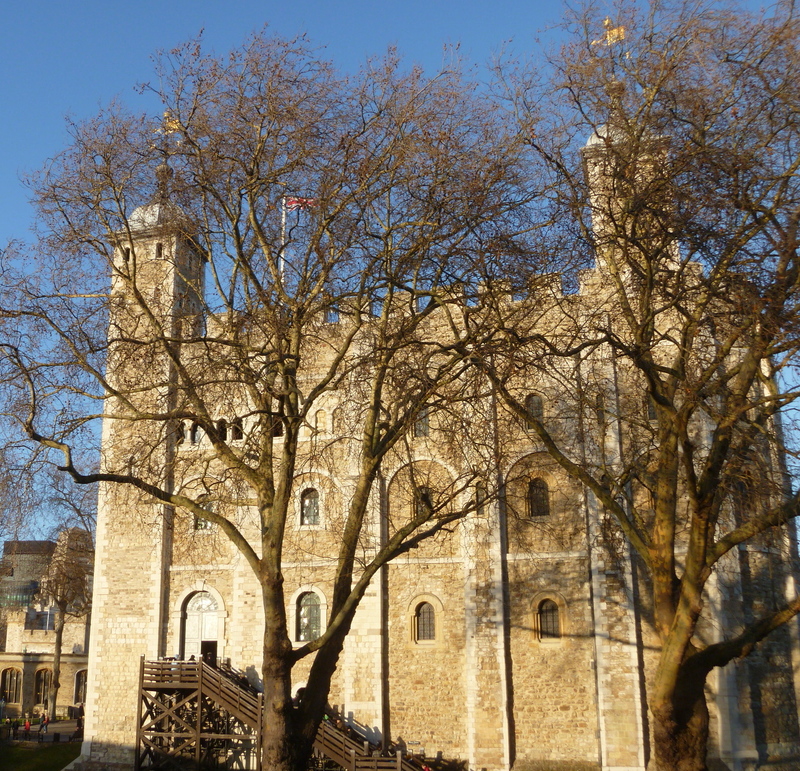 Our next port of call was the White Tower which houses an exhibition, The Power House, which tells about all the institutions that originally had their homes at The Tower – The Royal Mint, The Menagerie (now London Zoo), The Ordnance Survey, The Royal Observatory. There are also displays of royal armour and, rather strangely, gifts given to our royalty by nations around the world. Chatting with a Yeoman Warder (or Beefeater) I discovered that 37 YWs and their families live within The Tower’s walls, plus a doctor and a priest. They have their own church and pub and it’s like a village community. 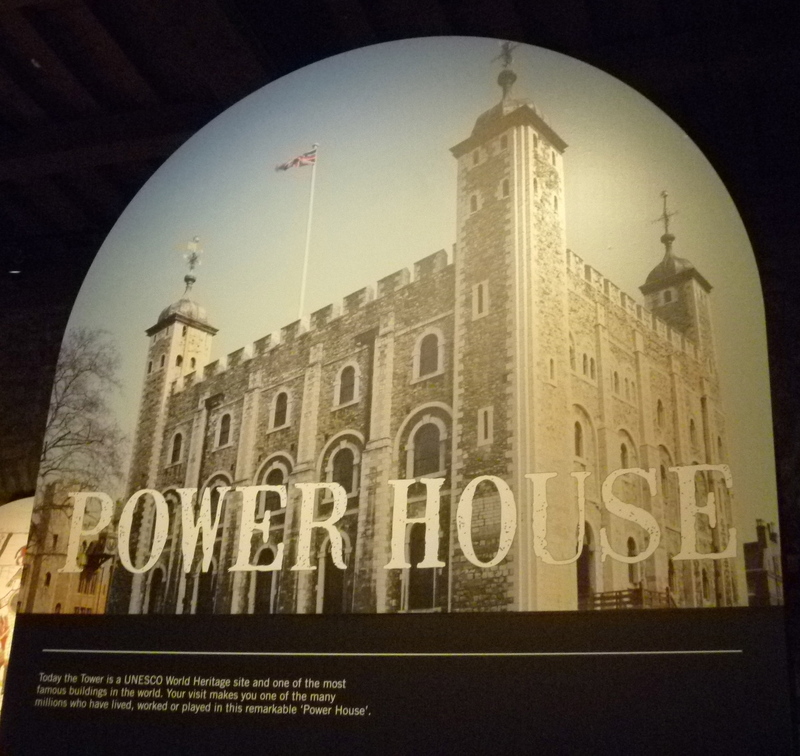 But the Power House exhibition showed that in former times The Tower had been a virtual town. 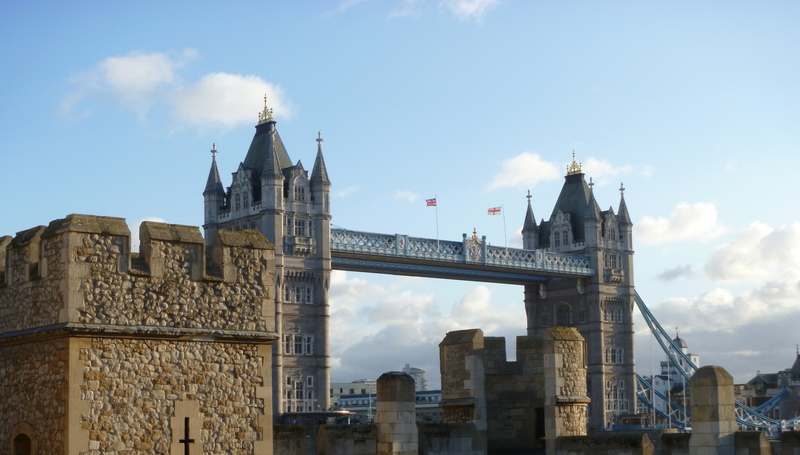 This entry was posted in Landmarking with Milady, Milady in London, Milady reads and tagged Books, Castles, London, Museums, The Landmark Trust, UNESCO World Heritage Sites. 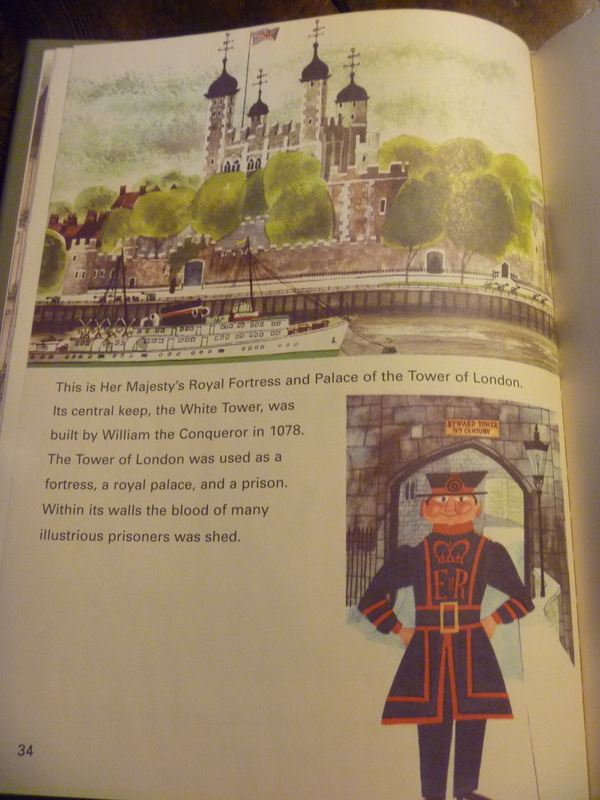 I love this mix of children’s book and historical buildings and perspective. Awesome blog. Thank you, Cassie, and welcome. The book is just gorgeous and was on the shelves at my accommodation. I loved the Tower, visiting it was one of the most memorable days on my trip to the UK. Probably because of my love of history. 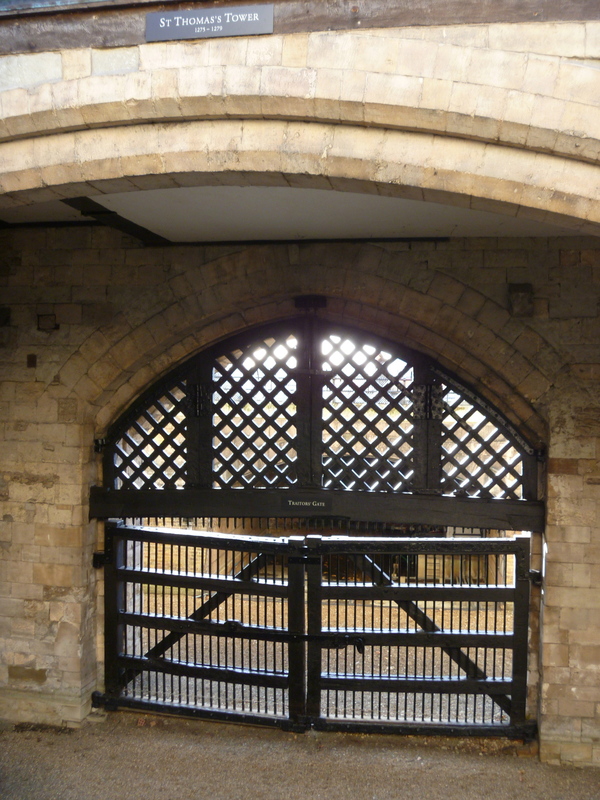 Seeing the Traitors Gate, the spot where the executions took place etc was wonderful. 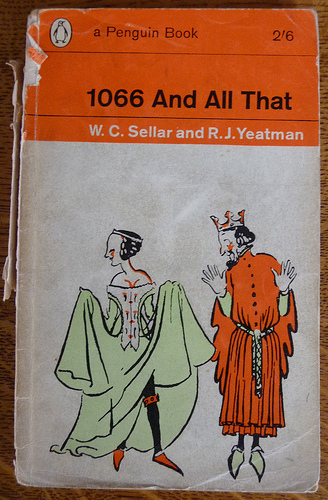 I love your pictures & 1066… is one of my favourite history books too! Thank you, Lyn. I already knew that you were a kindred spirit but this confirms it all over again! 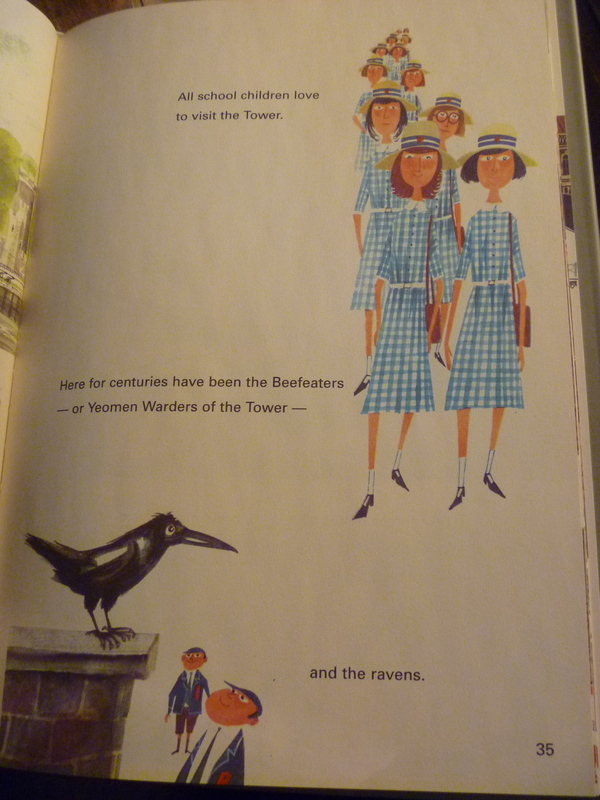 I have never visited the Tower, but “1066 And All That” certainly brightened my Grammar school days and I have an identical, much treasured dog-eared copy on my shelves. Time to put The Tower of London on your to-do-list, Nilly. Ah, the good old days when history was taught chronologically and 1066 and all that made so much ‘sense’ to us! Gosh, that brings back memories of school trips Barbara! 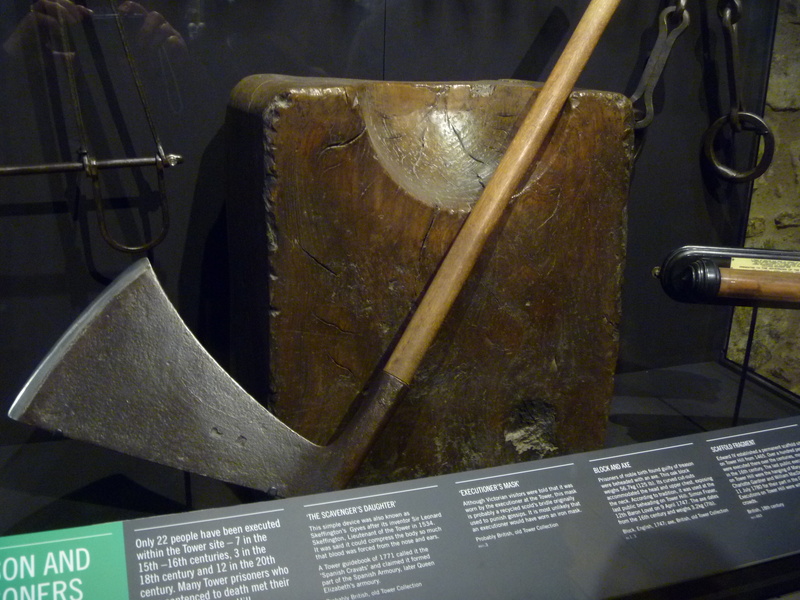 That axe and the block still has the power to send shivers down my spine. I was so impressed that I behaved myself for the rest of the day! The trip continued to London Zoo in the afternoon and tea at Lyons Corner House near Liverpool Street Station – I remember it like yesterday! Did you used to go and see Guy the Gorilla too?? Heck, we adored that zoo. I remember a ride on an elephant, petting goats, and seeing the penguins being fed but I don’t remember seeing old Guy. And we didn’t ‘used’ to go – we went once. You are quite right, Lynne. Norwich was in those days at the other end of the earth from London, for us at least. We had day trips from school in the sixth form to see plays at The Old Vic. London has always seemed larger than life to me. Although now the contrast between Norwich and London in those days seems much greater than between Leeds and London now.